Want to build a great relationship with your dog? 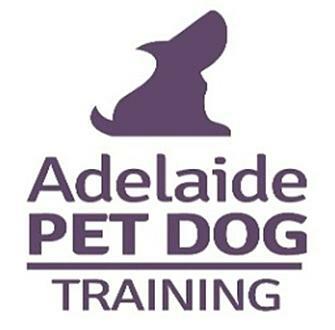 Let the team at Adelaide Pet Dog Training assist you with the best training solutions for you and your dog, so your dog becomes a welcome member of your family and a happy, well socialised canine citizen. Training using positive reward-based methods is an enjoyable and rewarding way for you and your dog to learn new and useful skills. Our small group classes are suitable for dogs of all ages and puppies can start at 12 weeks of age and over. The classes run for one hour per week, for seven weeks and are limited to eight dogs per class at the cost of $175. As well as basic obedience exercises to teach good canine manners, every lesson also includes some simple agility exercises which we have found increases the dog’s confidence by offering new challenges, as well as being fun for both dogs and owners. Some time ago I was privileged to be involved in a study that assessed training equipment and was written up for an article in the international, peer reviewed Journal of Applied Companion Animal Behaviour. 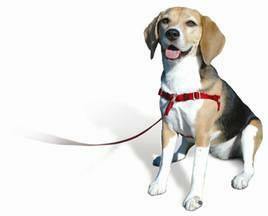 This article was written by one of Adelaide Pet Dog Training’s instructors. I was so impressed with the Softouch Concepts product which produces the patented SENSE-ation and SENSE-ible Front-Connection™ harnesses, that I contacted them with the aim of becoming their distributor in Australia. I am delighted that we at Adelaide Pet Dog Training can now offer you these wonderful harnesses which help create a better connection between you and your dog, because they work with your dog’s instincts and keep him comfortable. The harnesses prevent choking and cue your dog to move with you without pulling on the leash resulting in enjoyable walks and a closer bond with your dog.